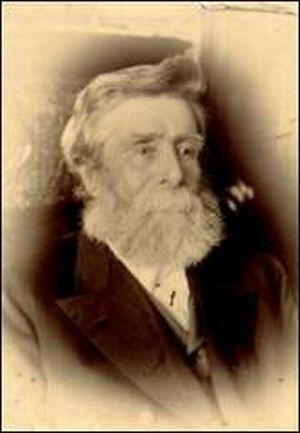 William Hooper Barnard was born 24 Apr 1822 in Cheltenham, Gloucestershire, England, the son of John and Jane (nee Hooper) Barnard. He was christened on 14th Apr 1830, St Pancras Church, London. It is thought he went to sea at age 12. On the 1841 Census he was living at 17 Guilford Street, Borough of Marylebone - Parish of St. Pancras. 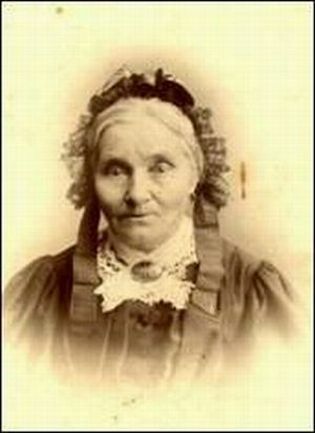 He married Sarah Kemp 18 Jun 1848 in Kennington,Epsom, Surrey, England - witnesses were Thomas and Mary Sanders. Sarah was born 15 Jul 1827 in Surrey - her parents were William and Mary Kemp. Sarah died 18 Jun 1906 in 14 Mein St, Wellington and her burial took place 20 June 1906 at Karori Cemetery, Wellington. 1851 Census and the family is living at 40 Friendly Place Stepney - William now 28 is a Mat Maker with wife wife Sarah aged 26 Surrey, daughter Jane aged 2 and infant son William aged 8 months - sadly he and next-born son John died in 1853. The loss of their 2 sons doubtless influenced their decision to immigrate to New Zealand and they sailed from London 5th November 1856 on the 1050 ton 'Indian Queen" which carried 451 passengers under the command of Captain D F Jobson and arrived at Wellington on 31st January 1857. On board - William and Mrs Barnard" Mary Jane aged 9, Sarah aged 3 and baby Frederick 1 year. Tinakori Road extends from Thornden Quay to Glenmore Road by the main entrance to the Botanical Gardens and Carkeek's Map published 1861 shows section 652 with the names Henrietta C Johnston, Wm Barnard and Lord Petre, opposite a grant for hospital land. 1860 16 Mar: Militia units were formed in Auckland, Wellington, New Plymouth, and Nelson - Service in the militia was compulsory. William Hooper Barnard appears on the roll. In February 1877 - a deputation met the Mayor with the view of obtaining an extension of the water supply to some of those streets in the city in had no pipes laid down. particularly the property situated in the neighborhood where fires at Mr. Griffiths' and Mr. Barnard's had occurred. As they had been paying rates for a number of years, they felt they had a right to ask that their property should be protected by the extension of the water supply. When the fire at Barnard's occurred on the previous night, the firemen had to get water from the mains in Manners and Willis streets. An extension of the pipes down Old Custom House-street would limit the danger should a fire break out in the locality. The Mayor said he would consult Mr. Marchant, the City Engineer, who had charge of the water department to meet the views of the deputation and also a larger water pipe would be laid along the wharf, as the present one had been shown to be too small to be of service in case of fire. Marlborough Express,29 June,1881, William retired from Customs, advertised: To Fishermen and Others. W. H. BARNARD, "FISHING NET MANUFACTURER; Taranaki-street, (Opposite the Barracks) Wellington. SEINE & SET NETS MADE TO ORDER. Net Twine, Cork, and Nets always on Hand, ALL ORDERS PROMPTLY ATTENDED TO. Particulars may be had from Mr Chas. Williams, bootmaker, Picton where samples may be seen. Obituary: Evening Post, 13 December 1899. Feilding Star: Mr Wm. H. Barnard, who arrived in Wellington in the ship Indian Queen in 1857, and who has resided there ever since, died the other morning in his 78th year. Mr Barnard was for many year in the Customs Department, and performed many arduous services in the capacity of a Customhouse officer long before proper equipment for Wellington harbour was thought of. He was eventually placed in charge of the bond, and retired on a pension about 18 years ago. Then he spent 10 years in Carterton, but eventually returned to Newtown, where he has since resided. Obituary: Wellington Post - Wellington resident passed peacefully away on Monday morning in the person of Mrs. Sarah Barnard, relict of the late William Hooper Barnard, formerly of H.M. Customs. The deceased lady, with her husband, arrived in Port Nicholson on 1st February, 1857, in the ship Indian Queen, and with the exception of a few years spent in Carterton, has resided in Wellington ever since. She leaves a family of 4 sons - Messrs. Fred and Henry Barnard of Eltham, George Barnard of Wellington and Charles L. Barnard of Foxton - and three daughters - Mrs. D. Billman of Wellington, Mrs. A. Clark of Lawrence and Mrs. Brigadier Fisher of Melbourne. Included in her descendants are 8 grandchildren and 4 great-grandchildren. A carpenter by trade David died: 09 Aug 1910 in Auckland and was buried 12 Aug 1910 Wakaraka Auckland. 2 William Hooper Barnard born 19 Jul 1850 in London, England died 29 Nov 1853 in 23 Friendly Place, Stepney, London. 4 Sarah Elizabeth Barnard born 17 Apr 1853 in London Baptised: 13 Nov 1853 St. Peters, Stepney, Mddx died 06 Aug 1938 in 22 Mont Le Grand Rd, Mt Eden, Auckland Burial: 08 Aug 1938 Hillsborough Cemetery, Auckland. She married Alfred (Alf) Clark b: Abt. 1852 in London married 1875 in New Zealand Father: Richard Clark Mother: Amy Ion. Alfred died 28 Sep 1933 in 22 Mont Le Grand Rd, Mt Eden, Auckland Burial: 30 Sep 1933 Hillsborough Cemetery. 5 Frederick Henry Barnard was born 1855 in London,England and died 21 Dec.1936 in New Plymouth. He is buried at Te Henui. He was employed as a telegraphist and postmaster. Frederick married Harriet (Annie) Blyton Chambers 24 Jan 1860 in New Basford, Nottingham on in Wallace St; Auckland. 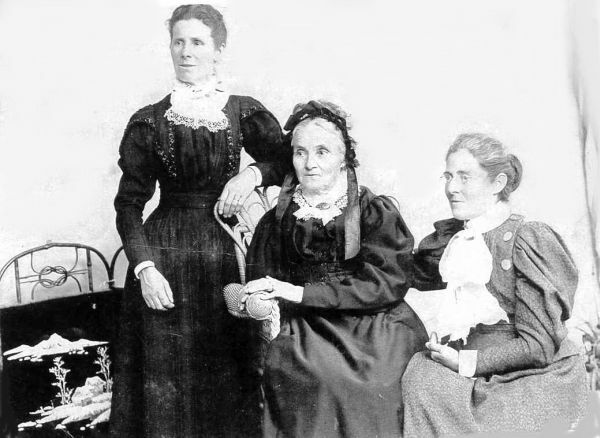 Her parents - Father: Moses Chambers and Mother: Sarah Anne Blyton. She died 29 Nov 1916 at New Plymouth and is buried at Te Henui Cemetery. 6 George Barnard was born: 28 May 1857 in Wellington where he was a Printer - Compositor, Linotypist. He died: 27 Feb 1923 in Wellington and was buried 1 Mar 1923 at Sydney Street Cemetery, Wellington He married Emma Jane Omera 25 Feb 1880. She was born 11 Oct 1861 Westbury, Tasmania. Emma died 17 May 1884 in Wellington and was buried st the Bolton St. Cemetery. 8 Henry James Barnard b: 03 Dec 1859 Taranaki Street; Occ: Accountant. He died on 22 Dec 1922 in Wellington; bur: 24 Dec 1922 Bolton Street Cemetery, Wellington. His marriage 20 May 1884 was to Helena Marion Brown who was b: 3 Apr 1865 to parents Father: Alfred Joseph Brown Rosenburg and Mother De Berry. Helen died 14 Aug 1965 in Silverstream Hospital, Wellington and was buried 6 Aug 1965 at Bolton Street Cemetery. 9 Harriet Ellen (Nellie) Barnard b: 1 Dec 1861 in Wellington and d: 8 Jun 1949 Australia. She mar: Alan Gibson Fisher who was born 06 Nov 1865 in Clifton, New Zealand to Father: George Edward Fisher Mother: Margaret Gibson. He was an officer in the Salvation Army as was his wife. Their marriage 06 May 1889 was at Wellington - he died 06 Jun 1949 in Colac, Victoria, Australia and he was buried 07 Jun 1949 Colac Cemetery. 10 Charles Leonard Barnard Born: 08 Oct 1863 in Wellington; Occupation: Watchmaker Carterton, Levin, Te Aroha. He died on 22 May 1943 in 233 Campbell Road, Greenlane, Auckland Cremated Waikumete Cemetery He married Ellen Banks who was born: 13 Apr 1867 in Pleck, Walsall, Staffordshire to Father: Edward Banks and Mother: Susannah Hardy; Married: 12 Apr 1884 in Abel Smith Street, Wellington She died: 27 Mar 1955 in 22 Rita Street, Mt Maunganui, Tauranga, Ashes to Waikumete Cemetery. Descendant input to up-date family pages is very welcome - more detailed information available on request.